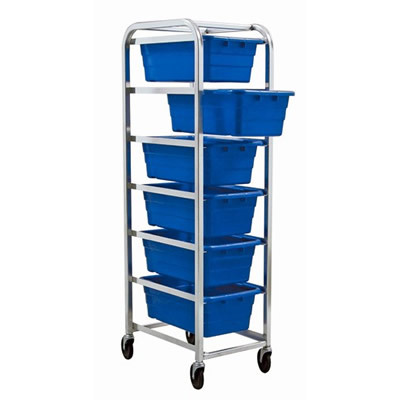 Blue 6 Tub Rack - 27"L x 19"W x 71"H | U.S. 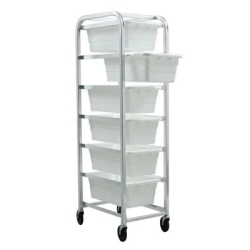 Plastic Corp.
Aluminum tub racks transport and store many types of products with ease. 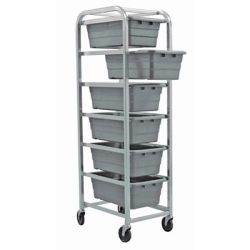 Racks come complete with tubes with are available in three colors, gray, blue or white. 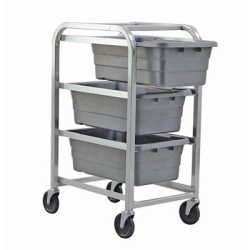 Select from the three or six tub style to meet your needs.